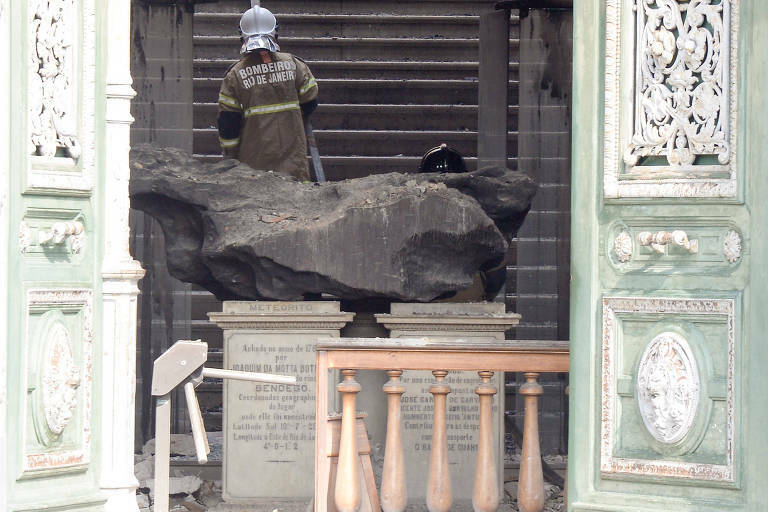 While Brazilian politicians and foreign authorities from France, United States and Argentina speak of funding the National Museum's "reconstruction" from ground zero, scholars would like to remind everybody that the surviving portion of the collection, spared from Sunday's fire, would be still enough to keep the institution among the most important scientific centers in Brazil. That being said, it is a fact that it's impossible to replace the items destroyed by the flames. "It's important to keep in mind that the collections that were housed outside of the main building are still equivalent to those of major museums," says José Perez Pombal Junior, curator of the amphibians collection at the National Museum and faculty member at UFRJ (Universidade Federal do Rio de Janeiro), which manages the museum. In fact, several important parts of the collection - vertebrates, insects from the order Diptera (which includes flies and mosquitoes), and botany -- as well as the main library, have been moved years ago to annex building, distant from the burnt area. "This means we are not starting from scratch," says Pombal Junior. And the numbers are impressive -- there remain 100,000 mammalian species and 110,000 amphibian ones, for example. Many of them were collected in areas where the original habitats were destroyed. "Our herbarium is the first or second in size in Brazil. And the rare books in the library, some of them brought by the Portuguese royal family in 1808, were also preserved."